192. Miyake, Akiko. 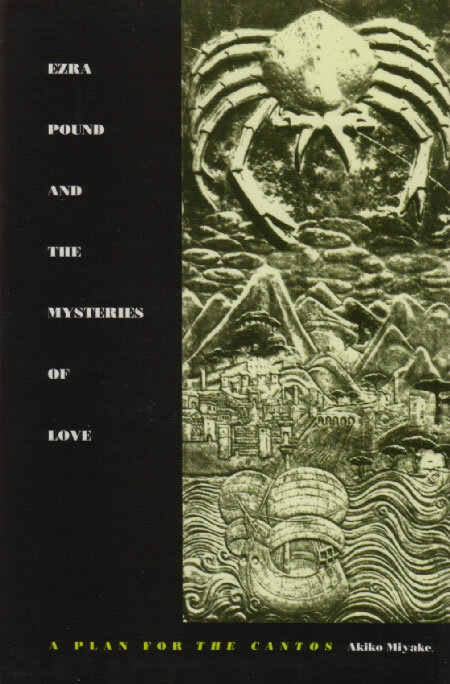 Ezra Pound and the Mysteries of Love: A Plan for The Cantos. Durham: Duke UP, 1991. Miyake’s central thesis is not directly related to Pound’s assimilation of Japanese materials, but at several points the work turns to a subject Miyake has explored in detail in earlier works: Pound’s conflation in The Cantos of material taken from the nô with the Eleusinian Mysteries and the theme of a sacred marriage between goddess and initiates (see indices, and 187 and 191). In addition, includes a chapter on ‘Pound’s Integration of Fenollosa’s Eastern Contemplation’, which though it focuses more on Chinese than Japanese subjects is nonetheless valuable here for its keen argumentation about the ways Pound incorporated principles arising from Fenollosa’s Buddhism and ‘Zen Idealism’, and how these inform The Cantos, both in the successes and the failures of the work.